Italy was home to the first car ever built. A wind-driven vehicle designed in 1335 by Guido da Vigevano. It used a windmill-type drive to power gears and turn wheels. And some of the most iconic automobiles that have rolled off the line since Ford revolutionized the industry with the Model T have come from Italy. Over the past century, names like Ferrari, Maserati, and Lamborghini have become synonymous with sultry, sophisticated lines that belie the aggressive power of their state-of-the-art engines and conjure up images of both languid La Dolce Vita drives along the Italian coast and intense international Formula 1 races. Testimony to Italy’s importance in automotive history is the more than a dozen car and automotive museums located in the country’s industrial heartland—the “terra dei motori”—between Turin and Modena. Though today Italy’s manufacturing industry, like most of the world’s, has largely been outsourced overseas, motor enthusiasts can experience its Golden Age, when busy local factories churned out models by the hundreds each day, with a visit to one of the area’s one-of-a-kind museums. Here are a few suggestions for a unique auto-centric stop or day trip while travelling through Emilia-Romagna or around Milan and Turin. The most evocative name in Italian sports cars is by far “La Rossa.” Ferrari’s unmistakeable candy-apple red racers. The Ferrari Museum has two locations. 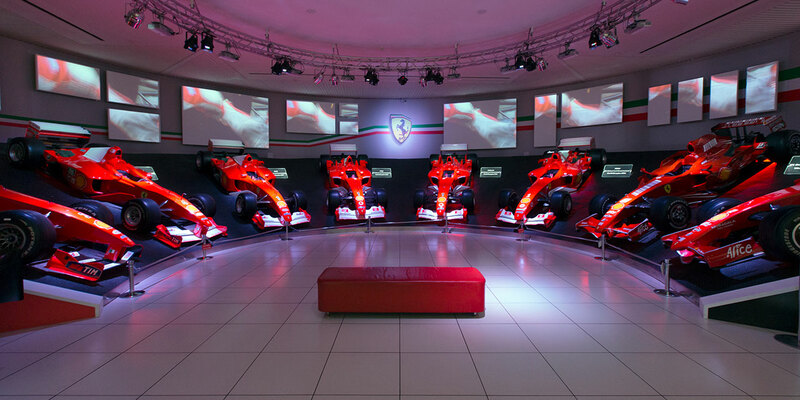 The museum in Maranello is adjacent to the company’s factory and test track, and focuses on the F1 race cars; the Modena museum is located at the city’s original factory and headquarters, and focuses on Ferrari’s history and production, with a collection including vintage racing and road cars and a number of automotive artifacts and memorabilia. In both locations, these automotive works of art are displayed with the lighting and curation worthy of masterpieces. 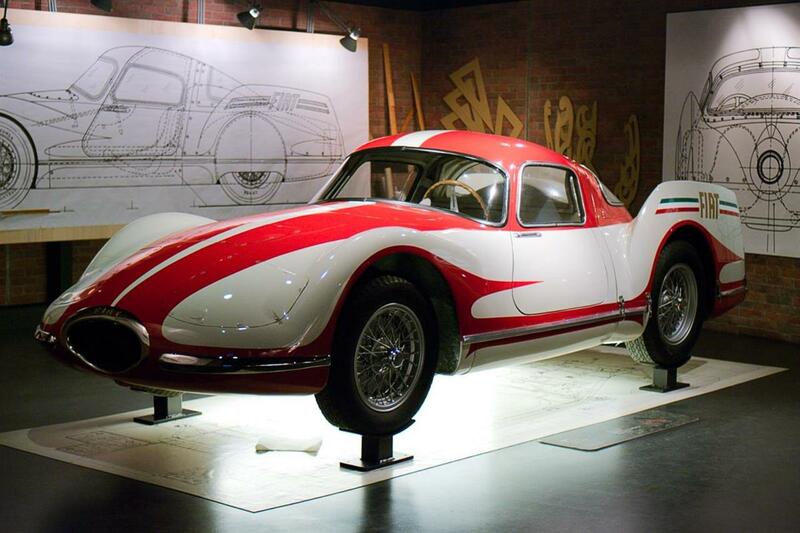 The sleek museum and nearby test track in Maranello, as well as the charming historic Modena museum, are fun destinations for both automotive and history buffs. 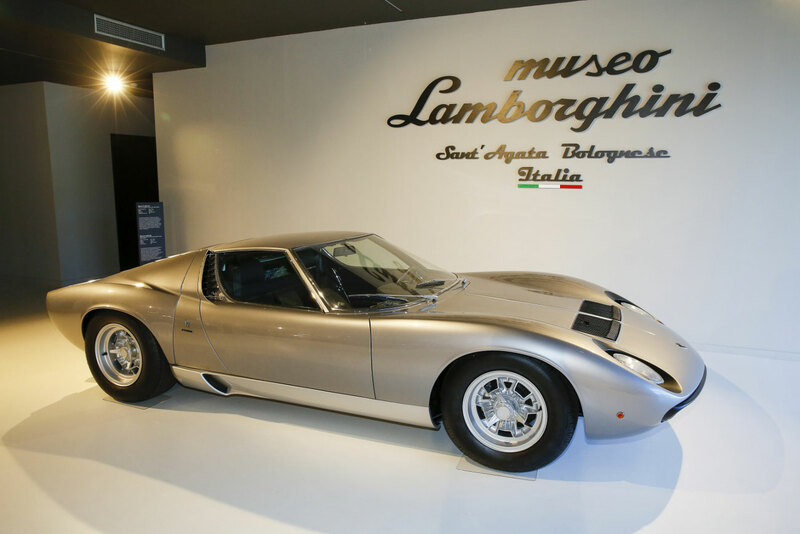 The Lamborghini museum was established by Tonino Lamborghini, son of founder Ferruccio Lamborghini, as a tribute to his father’s illustrious life and career. It traces the evolution of the manufacturer’s style and technology from the first model produced in 1964 through the iconic road models over the following decades. The collection includes the final Countach to come off the line and concept cars developed over the past decade, as well as the world’s fastest police car (the Gallardo of the Italian Polizia Stradale), a number of Lamborghini’s Formula 1 race cars, and enough photographs and scale models to satisfy any fan. 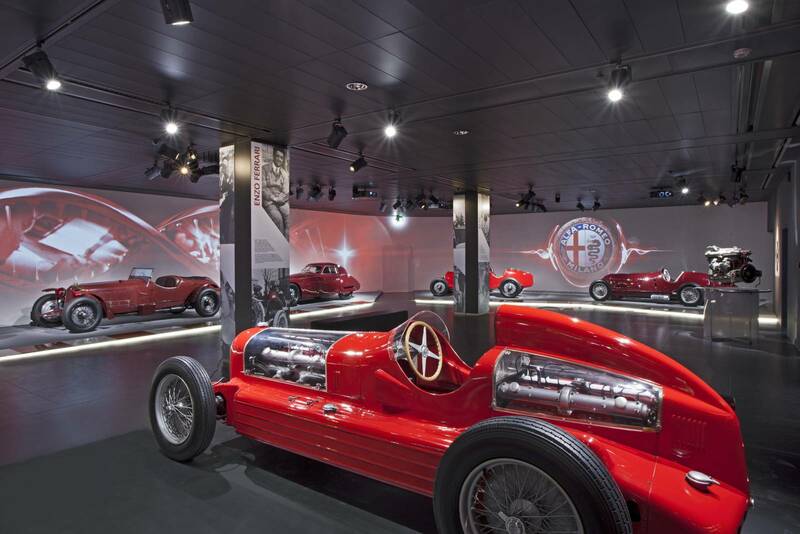 The Alfa Romeo Museum opened in the mid-1970s and is one of the oldest automotive museums dedicated to a single manufacturer in Italy, highlighting both the Alfa Romeo company and the heyday of Italian automobile production as a whole. One of the few Italian sports cars that don’t come with a heart-stopping sticker price, Alfa Romeo is particularly beloved by the Italian public, and the popularity of the brand’s museum is a testament to the affection Italy holds for this iconic brand. More than 100 cars are displayed—about half of the museum’s total collection—including road models and legendary race winners, concept cars, and prototypes. What do the most recognized names in the Italian automotive industry—Ferrari, Maserati, Alfa Romeo, Fiat, and Lancia—all have in common? They are also long-standing clients of Pininfarina, the independent automotive design firm located outside Turin. 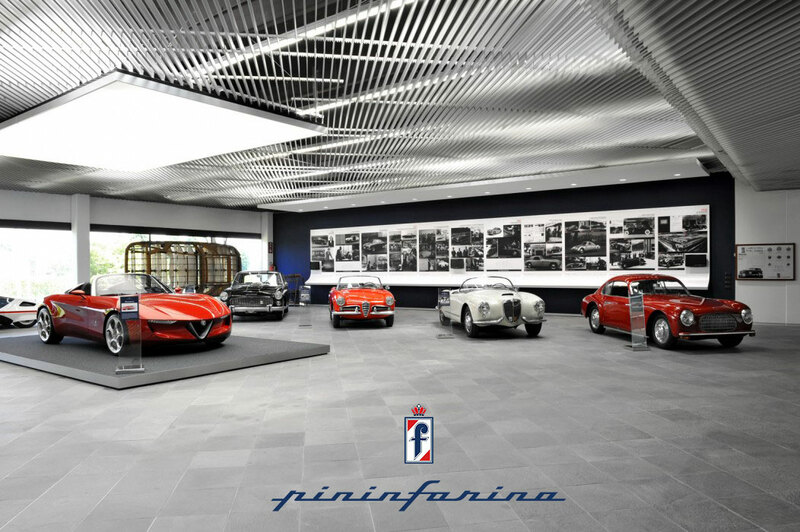 Founded in 1930, Pininfarina may not be a household name, but many of the models the firm has created are. Including the Giulietta Spider, the Maserati Birdcage 75th, and the Sigma Grand Prix. 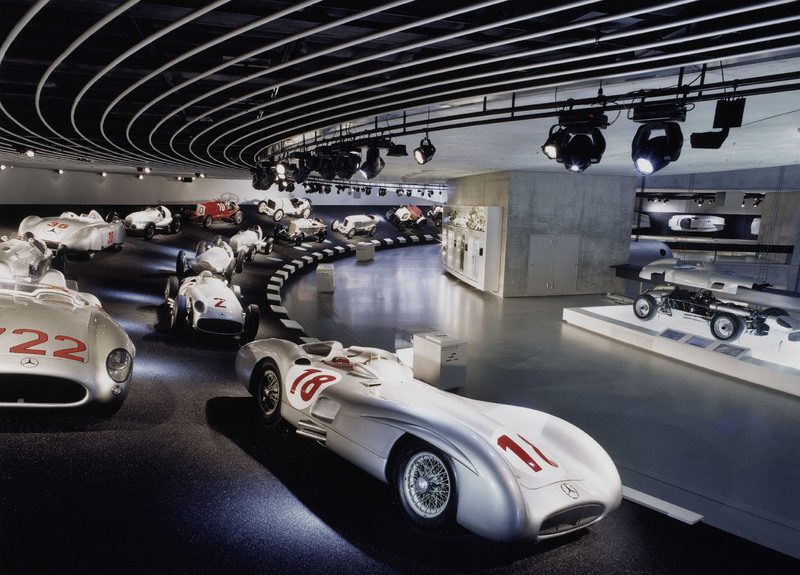 The museum hosts a rotating display of cars from their collection of 50, which includes rare special and limited editions in addition to models from production runs. A mecca for antique and vintage car enthusiasts, this stunning contemporary museum in Turin’s city centre is home to one of the largest collections of cars on display in Europe. Founded in 1932, the museum recently reopened after a complete renovation, boasting a striking new architectural redesign and an updated curation that is both engaging and informative. Visitors can walk through a full three floors of automotive history. Take in everything from the historic Model T to prototype solar cars of the future in this vast collection, grouped by theme—automobiles in historical, design, and anthropological contexts—to give the exhibition more depth and scope than many other similar museums. The museum dedicated to Italy’s most historic automobile race is housed in an even more historic 11th-century monastery in the city of Brescia, just west of Milan. The “thousand mile” open-road race, held competitively from 1927 to 1957, is now an amateur time-trial event and one of the most beloved annual summer events across Italy. Historically, however, the intrepid winners drove racers manufactured by Italian upstarts like Ferrari, Maserati, and Alfa Romeo to make their mark in automotive history. The Mille Miglia Museum pays homage to these spunky drivers, their scrappy cars, and the history of the race with a vast collection of cars and memorabilia.